Six Canadian church relief agencies have received a boost from the Canadian International Development Agency (CIDA) in their efforts to aid Pakistan-India earthquake survivors. $750,000 from CIDA’s South Asia Earthquake Matching Fund will contribute to the project “Emergency Relief for Earthquake Affected People in Pakistan and India-Administered Kashmir” that will provide 54,000 earthquake survivors in Pakistan and India with much needed blankets, winterized tents, clothing and kitchen utensils. Contributions from each of the participating agencies will raise the total amount for the project to over $1,250,000, with more funding expected as congregations and parishes send their collections to the national agencies. “Working together as Canadian churches strengthens our ability to practically support survivors of this terrible disaster”, says Cheryl Curtis, Executive Director of The Primate’s World Relief and Development Fund (PWRDF). “At the same time, it strengthens our capacity to engage the Canadian public in response.” The church agencies that applied for matching CIDA funds are the Christian Reformed World Relief Committee (CRWRC), Mennonite Central Committee (MCC), Pentecostal Assemblies of Canada ERDO (Emergency Relief & Development Overseas), PWRDF (The Anglican Church of Canada), Presbyterian World Service and Development (PWS&D) and the United Church of Canada (UCC). Together the six churches have more than four million members across Canada. 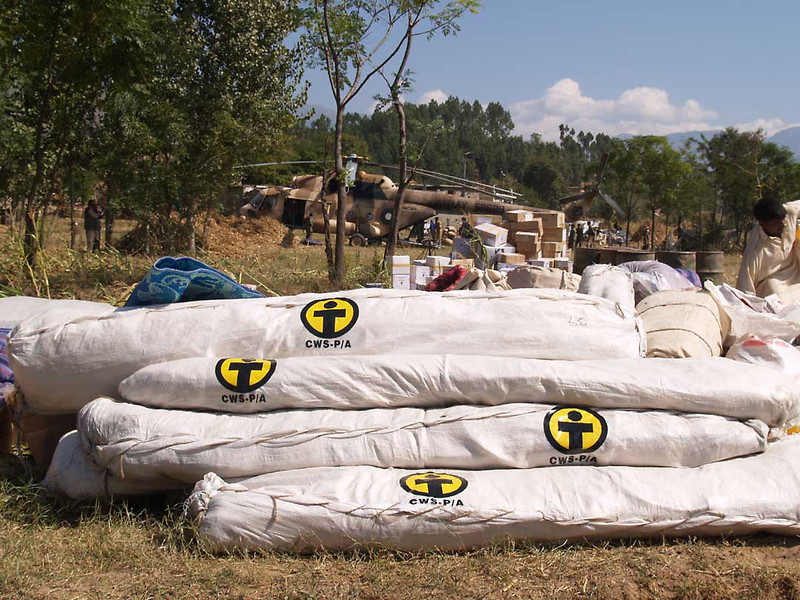 The six Christian organizations are working through Action by Churches Together International (ACT), a global alliance of churches and related agencies working to save lives and support communities in emergencies worldwide. The ACT members implementing this Canadian response on the ground are Church World Service-Pakistan/ Afghanistan (CWS P/A) in Pakistan and the Church’s Auxiliary for Social Action (CASA) in India. This is the second time this year Canadian churches have worked together to co-ordinate relief work. Four of the six Canadian agencies collaborating in the South Asia earthquake relief project worked together previously to access $6 million in CIDA matching funds for ACT’s tsunami relief in south India.